Solar power has been used for decades. From streetlights to space probes that have almost reached the edge of the solar system, solar power has provided the needs for sustainable sources of energy. The technology has been pretty straightforward. What was needed were more advanced batteries for energy storage. Together with the next advanced level of battery technology, new inverters were developed so as to make energy collection, storage and distribution more efficient thus lowering the costs. It is now commonplace to see solar panels on top of buildings, houses and large-scale solar energy collection fields. With the ubiquitous glass solar panels being more economically viable for the energy needs of all comes the next generation of solar panels that are even more efficient and aesthetic as well. 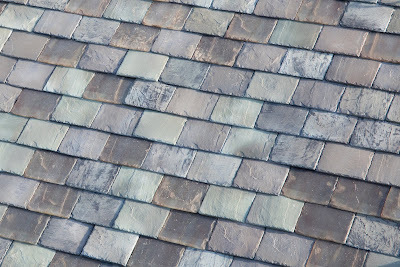 A leader in alternative power technology in vehicles, Tesla has developed and created solar tiles that can be used as roofs for homes and buildings. Addressing the aesthetics of solar panels, these glass tiles look like ordinary roof tiles that power the homes that have them installed. When Tesla unveiled the tiles installed on the house roof, those who witnessed it never took notice that the roof tiles were solar panels. Tesla and Solar City jointly developed the new product. But that is only part of the new technology developed. Together with the solar roof tiles, Tesla also came up with its new Powerwall. It is the storage battery system for the solar tiles. Equipped with two 14kWh lithium-ion batteries per pack, it can power a four-bedroom house including lights, a refrigerator and various appliances for an entire day. It comes also with their newly developed power inverter that is integrated into the system. The new solar tiles will be launched during the summer of 2017. The longevity of the tiles are superior to the current solar panels in the market.